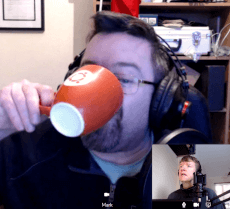 00:24 Wayne welcomes us to Season 5 Episode 8 of the Binary Times podcast by welcoming our guest to the show, Michael Tunnell of Tux Digital, This Week in Linux and Destination Linux. The guys talk about the weather and Michael tells us a bit about himself. 05:15 Michael tells us that he's been busy podcasting, doing one a day for the last six days, as well as coding and video work. The guys discuss his busy schedule and what's involved in producing all this content, some of the tools involved being Zoom, OBS and Kdenlive. He also tells us that he's working on video content for all the new features in all the flavours for the upcoming 19.04 releases. Phew! He's some man for one man! 14:16 Mark tells us that he's trying to get some laptops for the Open Coding Club in Kilkishen and is trying to decide on a distribution. Initially he was thinking of going with Ubuntu MATE, or Linux Mint, because of their more familiar desktop environment. He's recently started looking at Zorin OS, and the Zorin OS Lite Education Edition. Mike points out that Zorin is in the process of releasing Zorin OS 15. Mark goes on to tell us that he plans to upgrade his current Kubuntu 18.10 to 19.04. Mike informs us his distro of choice is Kubuntu, and of the work on sane defaults in that distro that he helped make happen. The conversation is rounded out with discussion of Ubuntu MATE, synapse and the brisk menu. 26:02 Wayne tells us that he's been doing some more work with his motion eye os setup, including installing vsftpd and configuring it all to work with his Raspberry Pi. Wayne goes on to tell us about PyCharm, thanks to Ben for the tip! Snaps get discussed. 36:15 Mark tells us that the release candidate of 0.10 of Super Tux Kart has been snapped up since yesterday, the guys hope to play it a bit tonight! 37:31 Wayne tells us there is a Linux Presentation Day happening in Bristol on 19th May. 40:05 Under the Hood! Michael kicks off Under the Hood with a few great tips for Firefox, starting with multi-container tabs in Firefox, followed by darkreader, a dark mode for your web browsing. Mark tells us about new autoplay controls in Firefox. This prompts Mike to tell us about the Text Area Cache add on for Firefox, allowing you to save automatically the content in a text input field. Wayne tells us about the podcast pillow, which he wouldn't recommend. He goes on to tell us that searching tabs in firefox doesn't work with containers. Type % followed by the what you want to search for in the address bar to search open tabs. This prompts Mike to provide another Under the Hood for Firefox, and that is keyword bookmark searching. 54:00 Irish saying of the podcast - "Is fhearr fheuchainn na bhith san duil" It is better to try than to hope! Thanks so much to Michael for a great Irish saying, and we hope you all enjoy this podcast as much as we did making it! 00:24 Wayne introduces us to Series 5 Episode 7 from a slightly foggy Bristol. Mark gives us his most accurate weather update ever thanks to his newly installed /E/ OS on his Nexus 4. Wayne goes on to introduce us to Ben Klassen, a software tester who thinks the term QA is a misnomer and wants to make software fit for purpose. It's shaping up to be a really lovely day where Ben is too! 04:29 Mark tells us he's installed /E/ OS on his Nexus 4 and gives us an idea of what it's like. The process itself involved installing TWRP on his phone and then grabbing the /E/ image and then using it! For a 0.5 release, he seems to think it's pretty good so far. The guys go on to discuss various aspects of this exciting FOSS project. Ben loves Maps.me. Mark laments the name /E/ and thinks it could hold the project back. 22:50 Ben tells us about what he's been at for the last while, which is playing with Termux and continuing his love affair with NextCloud. He tells us Termux is a phenomonal little tool and in conjunction with rclone is a great compliment to cloud services. Wherever Ben goes, there's a shell in front of him! Looking at small screens and the like prompts a Eureka moment for Wayne and that is maker kits for seniors! Termux can be installed from the Google Play Store or via F-Droid. Once it's installed, open Termux and run termux-setup-storage to allow Termux to access the rest of the filesystem on your phone. Now install rclone: apt install reclone. Configure rclone to be able to connect to your NextCloud instance via WebDav: rclone config. Step through the wizard to create a new remote. Call your new remote nc. Choose WebDav as the backend. The connection details you need are the WebDav URL for your NextCloud account - find it in the Files app on the lower left under "Settings" - and your NextCloud username and password. Let's say you want to back up everything in the folder ~/storage/shared/DCIM/OpenCamera to InstantUpload on NextCloud. Here's the rclone command: rclone sync ~/storage/shared/DCIM/OpenCamera nc:InstantUpload. Notice that you can dispense with the trailing slashes that are meaningful to rsync. If Termux disappears, you probably have a modern Android phone with very aggressive battery saving settings, so you'll probably need to put Termux in the "manually manage" list. Ben carries on by talking highly of NextCloud and NextCloud's documentation. It's basically replaced Google's and Dropbox's services for him. Wayne discusses using Ampache in conjunction with NextCloud music. This leads the discussion around to leading simple lives and sleeping at night. 48:16 Under the Hood - Mark's under the hood is sending tabs in Firefox. Wayne's tip is another Firefox one and that is that the latest firefox allows you to search open tabs. He also has a tip for the Caja file manager and that is just to search on a word rather than trying to use regular expressions to increase your chances of finding a file. Ben's tip is one on Termux, rclone and Nextcloud. Firstly set up rclone with rclone config and then to use rclone sync [source] [destination]. Ben also recommends tasker to trigger rclone backups. 57:18 Mark mentions a couple of items from the Open Source Community on Steam - they are having a giveaway for reaching 300 members of the curator. There's also an announcement that student applications for GSOC 2019 have started, so if you're interested, check it out. Mark also tells us that Curl Up 2019 is currently happening and this leads to the Irish saying of the podcast - "os an fuinneoigach" - out the window! 00:24 Wayne welcomes us to Season 5 Episode 6 from a slightly overcast but warm Bristol, while Mark hails us from a weather warning beaten Kilkishen. Wayne has an idea to put SAD lights around a monitor bevel to help with Vitamin D deficiencies. Mark thinks their listeners will get on it straight away, keep an eye on CrowdSupply. 02:55 Mark tells us he's been playing Doom and Hacknet for the last while. He installed Chocolate Doom and used the WAD to get fullscreen and had quite the enjoyable experience with it. He's also gotten the latest Linux by Wiley Humble Bundle and has started reading the Assembly Language Step by Step: Programming with Linux 3rd Edition. Quite an interesting read so far, and a fantastic selection of books in the bundle. 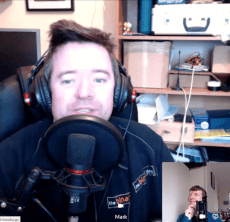 Mark goes on to chat about the coding club that is happening in Kilkishen National School, and tells us a bit about some tech he came across there called Makey Makey. Mark's really impressed with the kit. 13:42 Wayne tells us that he's at stage two of implementing Snipe IT at work. By using Snipe IT at work and introducing new features like QR coding he sees real benefits accruing to his organisation. This leads to a discussion around the benefits of Free and Open Source software to organisations. 24:23 Wayne thanks Al from the Admin Admin podcast for his help in sorting out his edge router and goes on to chat about the experience. Wayne goes on to thank Paul for some wireless access points and the guys chat about Maurizio's link to frozentux's iptables tutorial. Wayne mentions articles and videos linked here and here as good places to learn more about iptables. 31:07 Competition time! We got such a great response to the competition that we're giving away all 5 Solokeys. The winners will be written to and will have their brand new Solokeys shortly, well done to everyone that won! Thanks also to everyone who entered, better luck next time! Wayne also mentions some feedback the guys received about the W3C and FIDO alliance finalizing Web Standards for Secure, Passwordless Logins, and Mark goes on to talk about Tim Berners Lee's open letter on 30 years on, whats next #ForTheWeb?, which leads to a discussion around how we can all make the Web and the World a better place. Mark mentions Gizmodo's Kashmir Hill's articles on Life without the Tech Giants as a good and an eye opening read. 51:20 Under the Hood - Wayne tells us about the reader icon in Firefox and suggests a lot less clutter on the desktop. Mark mentions Firefox Send as a useful feature. Mark's under the hood comes about from an announcement on Steam's Open Source Community's regarding Ukuu. Mark suggests the Ubuntu Wiki's Kernel Mainline Builds page as a good place to start if you wish to upgrade your kernel, but also recommends not doing so and to leave your choice of kernel to your distribution. 59:20 Irish Saying of the Podcast - "Lá fhéile Pádraig sona dhaoibh!" Happy Saint Patricks Day to you all, and we hope you enjoy listening to this podcast as much as we did making it! 00:24 Wayne welcomes us Series 5, Episode 5 from a cloudy Bristol, while Mark hails us from a wet and windy Kilkishen. The weather chat sparks a discussion about an apocalyptic future, saved by Linux. As well as USB A, Solokeys are available in USB C and with NFC. Thanks to the people at SoloKeys for providing us with these keys to give away in our competition. You'll need to listen to the podcast to get the question to enter the competition! 17:16 Mark tells us Curl is 21 on March 20th. Happy Birthday Curl! 19:10 Mark goes on to tell us of the Open Source Community's announcements of job opportunities for C Developers in ClamAV and accepted projects for Google Summer of Code. 21:20 Mark admires Sylvia Ritter's Disco Dingo Art. 22:10 Not to be outdone, Wayne tells us that he listened to the Prime Numbers Audio Book on LibreVox. 24:28 Wayne tells us he's started playing around with Scratch 1.4. The guys discuss the various versions of Scratch and what you can do with it. Mark recommends Edublocks is a great transitioning tool from Scratch to Python. 28:08 Wayne tells us he's been upgrading his Fish Pond Raspberry Pi camera setup. This caused a few head-scratchers. 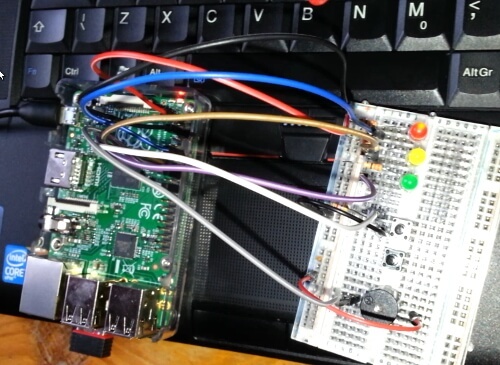 He did consult the Raspberry Pi Power Consumption Data web-page to help him figure stuff out, and he used these tutorials to install MotionEyeOS. 38:14 Wayne set up a self hosted Snipe IT Asset Management instance on Ubuntu 18.04, php7.2 and nginx. To update Open Suse from the command line type zypper dup as root. The guys discuss updates and security. 49:42 Wayne gives us a great Under the Hood for Raspbian and that is pinout. Wayne thanks Maurizio for useful comments on remote desktop applications. 53:39 Irish saying of the podcast is kindly provided to us by one of our listeners, thanks Torin! "Cad é an craic inniu" or What's the craic today? 55:50 Mark remembers the latest Linux Magazine has MXLinux and System Rescue CD as cover discs, as well as loads of excellent articles. We hope you enjoy this episode as much as we did making it! 00:24 Wayne welcomes us to Season 5 Episode 4 from a slightly overcast but nice weather Bristol. 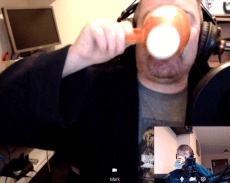 Mark tells us Spring is in the air and goes on to demonstrate his complete lack of gardening know how, luckily this is almost a Linux podcast and not a garden know how podcast! 03:10 Mark tells us about the upcoming Global Diversity CFP day, something that Jon Spriggs of the AdminAdmin podcast brought to our attention. Mark also tells us about the Prime Numbers audio book from LibreVox. Unfortunately Mark won't be able to make it to Global Diversity CFP Day in Dublin as he's going to GamerFest in Limerick on the same weekend, where he's hoping to meet John Romero. 07:43 Mark goes on to tell us about the release of MikeOS 4.6 that can be downloaded using this link. 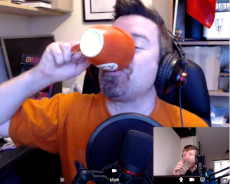 The guys discuss the direction of the podcast towards 8 (or maybe even 4) bit OSes. 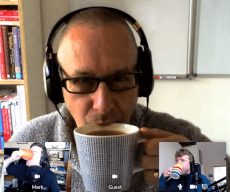 09:31 The guys go on to discuss LibreOffice's announcement of LibreOffice 6.2 and that it is already available as a snap. 15:20 Wayne tells us he's been watching a lot of the Fosdem 2019 talks and recommends them to everyone. 16:34 Mark goes on to tell us about the Snapcraft Live sessions on Youtube. 17:37 Wayne tells us he's been watching Decentralizing the Web Despite Itself, a disheartening talk by Karen Sandler and Bradley Kuhn about Full Software Freedom and this leads to a discussion about how we live in these modern times. Wayne has a couple of good tips for youtube replacements, being hooktube and NewPipe. 26:25 Wayne tells us the story of the problems he's been having with his desktop machine, and the utility of transparent terminals. In Ubuntu MATE, you can achieve this as follows: In the mate-terminal, go to 'Edit' -> 'Profiles'. Select Default and click 'Edit'. Click on the 'Background' Tab and select 'Transparent background'. Wayne's transparency is set to approx 75%. 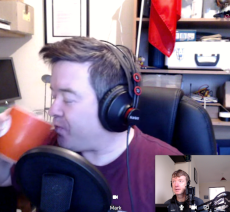 31:59 Wayne tells us about his record breaking tab addiction, some useful features in Firefox, and the guys discuss changing software options. 36:23 Wayne tells us about Matrix and how he's using it to talk on the bugcast podcast's IRC. He also mentions some further Fosdem viewing, namely Matrix in the French State and Breaking the 100 bps barrier with Matrix. 42:00 Under the Hood: Mark's under the hood is dlocate. 44:08 Wayne discusses how he's been investigating using thin clients and servers at work. He also talks about the host command. 49:04 Irish saying of the podcast - "Tá sé go hálainn! ", or it is beautiful! 00:24 Wayne welcomes us to Series 5 Episode 3 from a cold snowy Bristol while Mark hails us from a lovely cold crisp morning in Kilkishen. The guys chat about Fosdem, the great talks that are there and their own production meetings. 02:53 Mark tells us about what he's been at. He's introduced Edublocks to the Coding Club, which makes the transistion from Scratch to Python easier. This leads the discussion around to learning different languages and how Python is a great language to learn. It helped Wayne make the Rod of Doom! 12:15 Mark and Wayne talk about the feedback they got on their 32 bit computer chat from last episode. The guys talk about AntiX, resetting passwords, the Plop Boot Manager, Elive, Bunsen Labs, and the question of what to use an old machine for. 25:40 The guys talk about what PINE64 are doing at Fosdem. Mark mentions an interview he watched with Todd Weaver of Purism. Wayne also mentions an interview with Lukasz Erecinski of PINE64 on Catgory 5 Technology TV. The guys hope these projects suceed and become mainstream while wishing they were at Fosdem. Wayne's investing in all these products, he's really excited! 40:58 The guys talk about Inkscape and how it has finally matured to an alpha version 1. 44:03 Mark tells us about the latest Linux Magazine. Mark's under the hood is timedatectl. 53:44 Irish saying of the podcast is "bualadh bos go leir"
We hope you enjoy this episode as much as we did making it. Apologies for Mark's audio and forgetfullness! 01:46 Mark tells us about some listener feedback and his response to it. Mark tried various distributions on a Dell Dimension 3000 (see the appendix for specs) with a CDROM drive, 256MB RAM and a 20GB hard drive (that had Mandriva 2008 on it before it was wiped) before settling on VectorLinux 7.1 as the best user experience with that kind of hardware. The guys discuss the value of using a machine like that for browsing the web and just how much value you can get out of older hardware. 17:29 Wayne tells us about Solo Keys, a recently crowd funded open source FIDO2 security key. 24:07 Wayne moves the conversation on to self hosting, or hosting your own web services from home. Wayne recommends you have to start somewhere, and in his opinion Yunohost makes self hosting accessible to everyone. Piwigo is a recommended photo sharing application. 32:00 Wayne thanks our listeners for their recent feedback, the Admin Admin podcast for joining our Telegram group and all our patreons and recent donations. 32:35 Mark tells us he's subscribed to and recommends Wireframe, a magazine "Lifting the lid on video games". He also tells us that he received the MagPi Magazine and HackSpace as Christmas presents from Raspberry Pi Press and was so impressed with Hackspace that he may well subscribe to that also. Mark goes on to discuss the Looking back article (page 14) and the news that Jay Pinkerton and Erik Wolpaw are working with Valve which must mean Half Life 3 confirmed... Mark also tells us about Gaming as a Service and Improbable's improbable Spatial OS with it's thousand player online matches. 37:20 Wayne tells us about OMG! Ubuntu! 's news that Supertuxkart's online Multilplayer is Ready for Testing!. 38:14 Mark follows this up with news of a failed open source project from Squid's Open Source Community on Steam that Findx has closed its doors. 39:12 Wayne tells us he's picked up Karl Pilkington's An Idiot Abroad while charity shopping and used a Linux Tech Show's video on Handbrake to properly choose the right settings to rip DVDs. 00:26 Wayne welcomes us to the first episode of Season 5 from a cold but calm Bristol. Mark tells us it's a great day in Kilkishen with blue skies and faraway clouds. They both marvel at the idea of a new year and a new season! The guys relate their Christmas experiences for the listeners. 03:54 Mark tells Wayne about his stand out Christmas present being Spuddy's Juggling Balls. Wayne's stand out gift was a Star Trek Tricorder. The guys then discuss the advantages and disadvantages of the Raspberry Pi. Wayne tells us about his use of the TV Hat with the Raspberry Pi 3 as a recorder and recommends any one else interested to try it out. This leads to a discussion around the versatility of free and open source hardware and software vis a vis proprietary services and hardware manufacturers. 16:08 Mark tells us about Necunos releasing the Necunos NC_1 as a developer and early adopter device. While he comments on the price of the device he thinks it's great to have a free device out there. 21:32 Mark goes on to tell us that he's been doing a small bit of reading and made his Christmas and New Year's Card using Gimp and Libre Office Draw. He's also been doing a bit with Open Suse Leap 15, and tells us he also built a retro arcade machine using a case and a Raspberry Pi 3b as a Christmas present. 23:35 Wayne tells us he's been doing a lot and nothing at the same time. Some critical thinking around password management has seen Wayne adopting KeepassXC while considering the advantages of using a YubiKey. He's also using andotp for two factor authentication. Mark tells us about Purism's Librem Key and how he hopes Purism's building up a nice little hardware ecosystem for itself. Wayne also advises that you should always have two authentication keys. Mark advises he may need twenty. The guys round out the segment with a discussion around security vs convenience. 41:15 The guys talk about DNS over HTTPS on a pi-hole. 45:18 Under the Hood - Mark mentions the Chaos Computing Club's Lightning Talks have some great hints and tips and under the hoods. He goes on to mention the STEM Humble Bundle that is available for another short while that's got some great material. 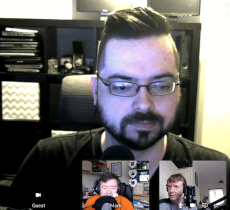 The guys discuss some python learning material, like Head First Python, Mike Saunder's Hayne's Coding Manual and the latest Python 2019 by Packt from Humble Bundle. 50:20 Wayne tells us about setting static IP addresses in Raspbian. 55:25 Irish saying of the podcast - "Is binn béal ina thost" - Silence is golden, except as Mark points out when you're making a podcast then not so much! Thanks for listening, we hope you enjoyed it as much as we did making it! Get your binary times apparel. The Binary Times podcast is created by Mark and Wayne, who just like using linux and open source software and want to spread the word. Linux is free and open source and it is an excellent choice of operating system for our ever changing times. This podcast is released fortnightly. This show aspires to touch on various aspects of Linux, with chat, musings, information, commands to help you get started or to advance within the Linux environment. Many thanks to all recent supporters and contributors to The Binary Times Podcast. Thanks to Squid/Alex at the Steam Open Source Community for his support and donation. Produced by The Binary Times guys.